Sharks Events Centre is a unique and versatile functions facility. Boasting a glass wall overlooking the signature Wally Fankhauser Reserve Oval, the President’s Room has the option to be natural light filled during your event. With a purpose built bar, operable walls, in built stage and audio visual equipment, 5.5 metre ceilings and breakout foyer areas, the centre sections into seven functional event spaces and caters for 10 – 1000 people comfortably. Whether it is a corporate meeting spanning one to several days, a gala dinner, wedding, trade show or school formal, we will ensure that your experience is personally tailored to suit your guests. View the room capacity floor plans for the President Room. View the room capacity floor plans for the Riewoldt Room. 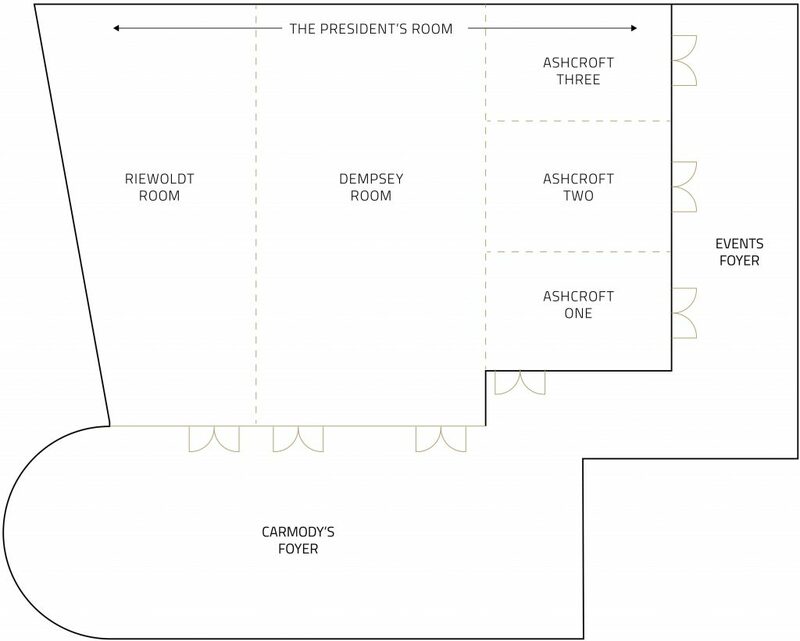 View the room capacity floor plans for the Dempsey Room. View the room capacity floor plans for the Ashcroft Rooms. View images and more details about each of our unique Event Spaces.